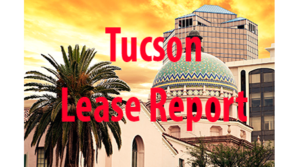 The following commercial leases were reported to the Real Estate Daily News for the Tucson Lease Report from January 28 – Feb. 1, 2019. Morsco Supply Co. leased a 20,485-square-foot Industrial space located at 4000 East Columbus Street from JSL Properties, LLC. Tim Healy of CBRE’s Tucson office represented the landlord and Chris McClurg of Lee and Associates represented the tenant. Ruda-Cardinal, Inc. leased at 5,559-square-foot industrial space at Sierra Valencia, 3280 E Hemisphere Loop #180 from Sierra Valencia Properties. Tim Healy of CBRE’s Tucson office handled the transaction. Zimmer US, Inc. leased 3,300-square-feet at 2460 W. Ruthrauff Rd., Suites 190-194 in Tucson, from Presson Scottsdale, LLC. Rob Glaser, SIOR, CCIM, and Max Fisher, Industrial Specialists with Cushman & Wakefield | PICOR, represented the landlord; Pat Welchert with Alpha Commercial, represented the tenant. Tax Services of America, Inc. (DBA: Jackson Hewitt Tax Services) leased 2,600-square-feet at 3995 E. Grant Road, #201 in the Northgate Plaza Shopping Center at Grant Road and Alvernon Way. Nancy McClure, CBRE, represented the Landlord, STROMIGA , L.P. and Jackson Hewitt was self-represented in the transaction. H. Robinson Worldwide, Inc. has leased 2,557-square-feet at 333 E. Wetmore Road, Tucson, Arizona. Phil Skillings and Andrew Sternberg with NAI Horizon represented the landlord and Ryan McGregor and Leah Larson-Taylor with PICOR Cushman Wakefield represented the tenant in this transaction. Hair Land Plus, Inc. (DBA: Hair Club Beauty Supply) leased 2,500-square-feet at 3901 E. Grant Road, #107 in the Northgate Plaza Shopping Center at Grant Road and Alvernon Way. Nancy McClure, CBRE, represented the Landlord, STROMIGA , L.P. in the transaction. Hair Land is a locally-owned retailer that specializes in the sale of wigs, hair pieces, accessories and beauty supplies. Starbucks Coffee Company leased 2,200-square-feet at the southwest corner of Stone Ave. & River Rd. in Tucson, from Brixmor Holdings 1 SPE, LLC. The store will be a freestanding building with a drive-through lane, which will replace the Starbucks store currently located across River Rd. and Stone Ave. Greg Furrier, Retail Specialist with Cushman & Wakefield | PICOR, represented the tenant in this transaction. Dynamic Manufacturing and Engineering, LLC leased 2,100-square-feet at 4101 S. Longfellow Ave., Suite 103 in Tucson, from Longfellow Commercial, LLC. Max Fisher, Industrial Specialist with Cushman & Wakefield | PICOR, handled this transaction. AXA Seguros leased 1,517-square-feet at Plaza Tec, Suite 30, in Nogales, Sonora, Mexico, from Nogales Realty Group. Michael Hammond, SIOR, and Denisse Angulo-Badilla, Industrial Specialists with Cushman & Wakefield | PICOR, represented the tenant this transaction. Green Desert Tucson, LLC leased 1,500-square-feet at 2075 W. Gardner Lane in Tucson, from Windmill Development, LLC. Max Fisher, Industrial Specialist with Cushman & Wakefield | PICOR, represented the tenant; Ron Zimmerman, Industrial Specialist with Cushman & Wakefield | PICOR, represented the landlord. Redbox Automated Retail, LLC renewed their lease for 1,500-square-feet at 3538 N. Romero Rd., Suite 124 in Tucson, from Costa Verde Investments, LLC. Ron Zimmerman, Industrial Specialist with Cushman & Wakefield | PICOR, represented the landlord in this transaction. B2B Delivery, LLC renewed their lease for 1,500-square-feet at 3538 N. Romero Rd., Suite 190 in Tucson, from Costa Verde Investments, LLC. Ron Zimmerman, Industrial Specialist with Cushman & Wakefield | PICOR, represented the landlord in this transaction. Southern Arizona Maintenance Service, LLC renewed their lease for 1,500-square-feet at 3538 N. Romero Rd., Suites 136 and 142 in Tucson, from Costa Verde Investments, LLC. Ron Zimmerman, Industrial Specialist with Cushman & Wakefield | PICOR, represented the landlord in this transaction. Steven L. Graves Enterprises, Inc. renewed their lease for 1,500-square-feet at 3538 N. Romero Rd., Suite 106 in Tucson, from Costa Verde Investments, LLC. Ron Zimmerman, Industrial Specialist with Cushman & Wakefield | PICOR, represented the landlord in this transaction. Ronald Kelley leased 1,100-square-feet at 3820 E. 44th St., Suite 420 in Tucson, from RR44, Inc. Max Fisher, Industrial Specialist with Cushman & Wakefield | PICOR, handled this transaction. Wayfinder BK, LLC has leased 951-square-feet at 555 E. River Road, Tucson, Arizona. Andrew Sternberg with NAI Horizon handled this transaction for both parties. Aeris Dental Downtown, LLC leased 775-square-feet at One E. Congress, Suite 140 in Tucson, from Holualoa Congress, LLC. Brandon Rodgers, CCIM, Industrial Specialist with Cushman & Wakefield | PICOR, represented the tenant; Buzz Isaacson with Buzz Isaacson Realty, represented the landlord. Photonic Materials, LLC leased 750-square-feet at 3830 E. 44th St., Suite 560 in Tucson, from RR44, Inc. Max Fisher, Industrial Specialist with Cushman & Wakefield | PICOR, handled this transaction. Eric Wilson leased 572-square-feet at 3210 S. Dodge Blvd., Suite 2 in Tucson, from Presson Corporation. Rob Glaser, SIOR, CCIM, and Max Fisher, Industrial Specialists with Cushman & Wakefield | PICOR, handled this transaction.